Lisa Keepence grew up playing football, climbing trees and racing pushbikes with the lads. Lisa had no doubt that she was a boy, but every time she looked in the mirror, she saw what everyone else saw – the face and body of a girl. When her world was plunged into disaster by a broken home, she drifted into a life of despair, drugs, abuse, crime and imprisonment. Terrified of sharing the truth about her identity with the world, she could only date girls by pretending to be lesbian. 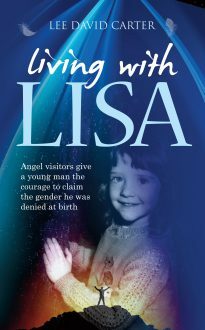 Finally, when there seemed to be no future, a series of supernatural encounters helped Lisa to summon the strength to face up to the truth about her gender and find a way of living a normal life in the body she – or rather he – should have been born with. This is the true story of a young man who grew up locked inside the wrong body, and the agonising ordeal he endured in order, eventually, to escape.